All hotels are looking for ways to increase turnover. 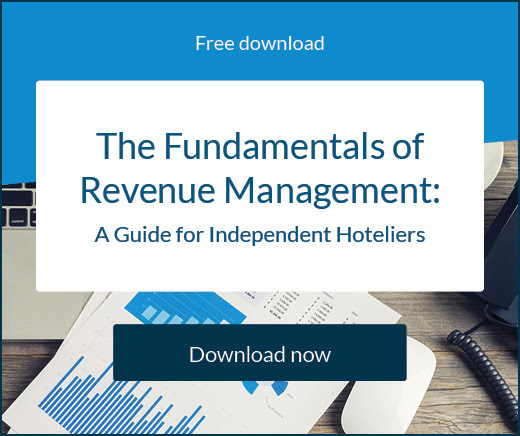 The more revenue a hotel can generate, the more options they give themselves to create profitable business strategies. Obviously converting as many bookings as possible is a core component of this plan, but getting existing guests to spend more is also a great option. 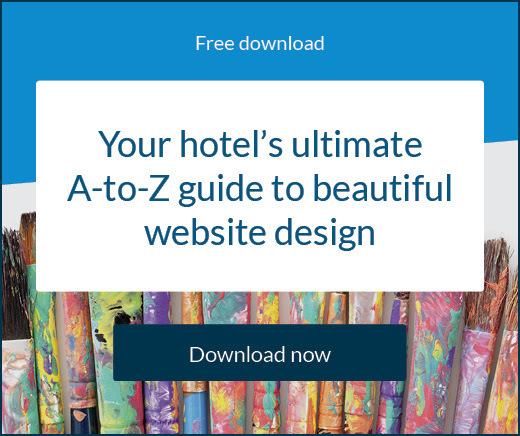 Personalisation is where hotels can make great leaps forward in this regard. Consumers have higher expectations of hotel websites these days. Not only do they want websites and mobile apps to be functional and informative, they want their personal needs and preferences reflected in them. A study by Qubit showed around three quarters of respondents do their shopping on up to just five sites – but only 16% would stay loyal if their provider fell behind in quality or service. Over 80% say they would be open to switching loyalties if they found a service that better catered for their needs. This lack of forgiveness is a problem for businesses, especially when you consider only 37% of marketing leaders say their desktop and mobile platforms convert equally. This indicates the user experience is sometimes left wanting on one or the other. It also means those brands that aren’t using targeted methods to attract and satisfy guests are at greater risk of seeing a downturn in business. For guests, the process of booking travel really is a journey. Personal service is not something that appears, but something that is nurtured over time. Guests will respond better if they have personal support before, during, and after their stay. Personalisation is so vital because basically all consumers have caught up to the digital age and expect to be able to tailor their own online experience. Customers want their experience to be situationally specific to them. This is why hotels can sometimes find themselves falling behind. Qubit found the biggest challenges in implementing an effective personalisation program revolved around a lack of necessary data (42%), and a lack of tools and technology (31%). Brands that create personalised experiences by integrating data and advanced technologies are currently achieving revenue increases of between 6% and 10%. On top of that, acquisition costs can be reduced by as much as 50% – something of great importance for hoteliers. 86% of guests say personalisation plays a crucial role in the purchase decision. True personalisation requires both scale and speed. The decisions you make and the experiences you give guests need to be data-driven and play out in real-time. Scarcity methods that promote purchase impetus are proven to be the most effective. For example, alerting potential bookers when room types are almost sold out. However, be careful not to overuse them because it will erode a guest’s trust in the validity of your messages. Even though half of consumers say other shopper’s habits don’t influence them, social proof is a highly useful marketing tactic. Online reviews of your hotel are a great example of social proof in our industry. Your guests may not like to admit they take inspiration from their peers behaviour, but the figures show they clearly do. Similar to scarcity, urgency helps create an impulse to purchase. This may occur when you offer limited time deals and discounts. Your online booking engine can display these urgency messages and help speed up the direct booking process securing vital revenue. Deriving large amounts of data from your channel manager and online booking engine is the best way to get started. Both platforms offer comprehensive reporting tools that are constantly updated and available for analysis. With the information you glean from these invaluable resources you can build the most precious tool at your disposal: a guest profile. Work on extending this by offering incentives to loyalty members. Send emails or in-app messages giving them the opportunity to book extra nights at a lower price or with free extras. Convince guests to spend a little more by providing value-for-money deals. You can offer these via your online booking engine at the time of purchase, or by sending an email prior to the guest’s arrival. Use booking confirmation emails to offer a discounted upgrade so they can increase their party. Revenue can be made up from food, beverages, and amenities. Display urgency messages on your booking engine to let guests know when occupancy for certain rooms are running low. 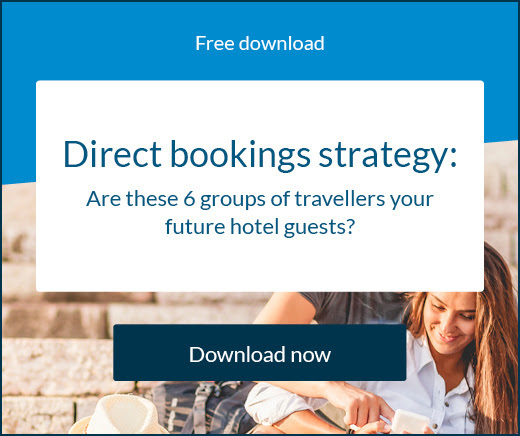 This is a tactic used by many OTAs but your online booking engine should have this functionality available to you. Use guest information to give them the best experience possible when they’re at your property. This means finding out what they most enjoy doing or what features they want in their room. You might offer a spa package to some guests, or a restaurant deal to others. When guest’s check-in, take the time to ask them some general questions about their preferences. Stock the room with specific drinks and snacks the guest will love. Again, you can use your booking engine to give guests a range of options when they book via your website. Combine with relevant local businesses to make things easier for your guests to organise and book activities. These packages offer your guests a higher degree of convenience. With this data in your arsenal you can more easily build a relationship with your guest and instil a sense of familiarity between you. The deeper level of knowledge you have about your guest, the more likely your guest will stay loyal, because they trust you know what they want from a hotel experience. If you are able to deliver a personalised guest experience, and get that guest to book directly with you again and again, you’ve increased the lifetime value of that guest. And that’s a great thing.